I noticed that many people have a tendency of rolling their eyes when they see yet another render of a new Lumia flagship. After all they’re big, glossy, rectangular devices with not much changes from the older Lumias. 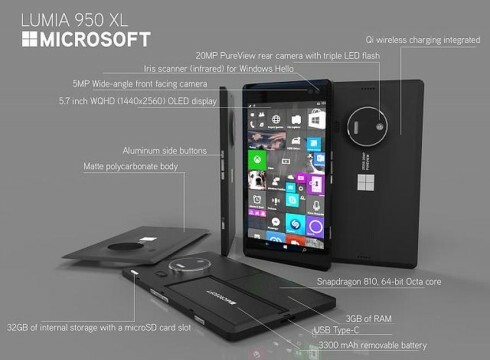 Well, today we have come across a Microsoft Lumia 950 XL concept that slightly changes that approach. First of all, it’s very, very slim and it comes with a 20 megapixel camera with triple LED flash. 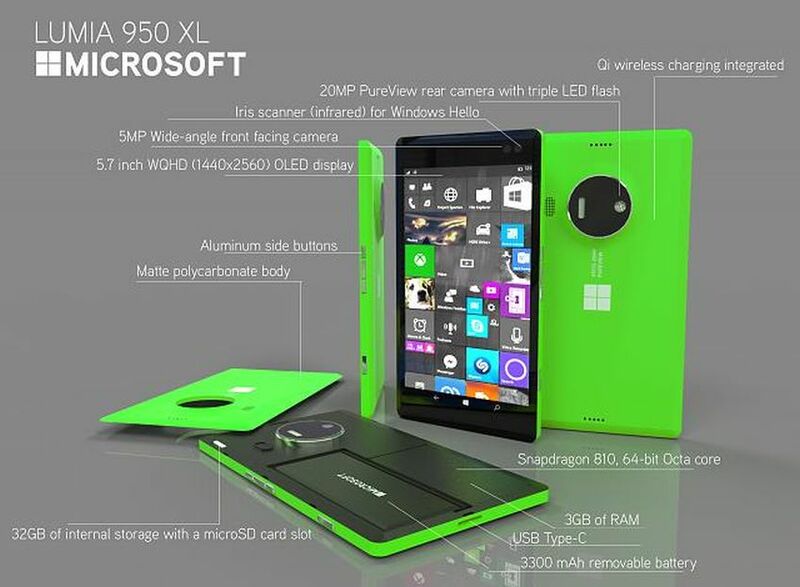 The smartphone has Qi wireless charging integrated and brings a front iris scanner for Windows Hello authentication. Lumia 950 XL has a wide angle front camera and a 5.7 inch WQHD display with an OLED panel. A matte polycarbonate body is here, as expected and we’ve got aluminum side buttons. Inside we find a 3300 mAh removable battery, 3 GB of RAM and a Snapdragon 810 processor, plus 32 GB of storage and a microSD card slot. At the bottom there’s an USB type C port and the whole format feels rather wide and maybe rivaling the design of a Galaxy Note for example.